Tried and True for the Bride's "I Do"
I had the pleasure of working with the fabulous bride, Kelly. She is an absolutely lovely young lady who married the love of her life in Peachtree City, Georgia. Kelly is one of those brides that stands out in my mind. She was so calm the day of the wedding, though I could tell nerves were there when I counted her brushing her teeth six times. She and her bridesmaids chatted, laughed and sang along with the mix of Taylor Swift songs that were playing in the Brides room while I did makeup for the Bride, Bridesmaids, Mothers and a few other family members. This group was fun and full of love and energy which made for a perfect day. Click on any of these pictures and you can visit Photographer Todd Baugh's website that showcases even more photos of Kelly's big day! Amanda was Fantastic!Amanda was such a sweetheart! She was so easy to coordinate with and work with! She listened to exactly what my bridesmaids and I wanted for our makeup and she certainly delivered. I totally recommend her to any bride out there wanting to look amazing for your big day! The air brush makeup she uses feels as if you're not wearing any makeup at all and it lasts ALL night long! My girls and I couldn't be happier. Thanks Amanda! 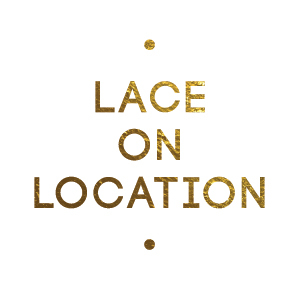 Click HERE to read what other brides are saying about Lace On-Location!